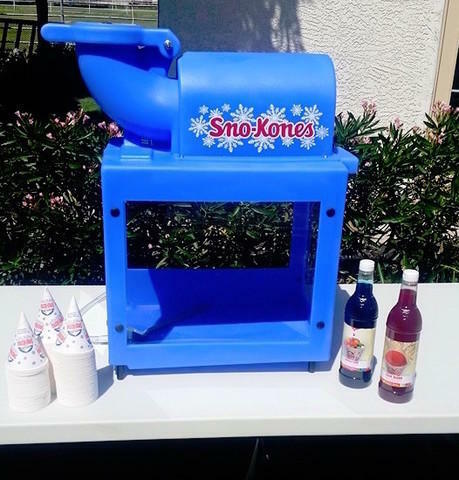 Our Shave-A-Doo Snow Cone Machine is easy to use and it comes with a scoop and supplies to serve up to 50 guests. Choose flavors from: Grape, Cherry, Lime, Orange, Strawberry, Green Apple & Blue Raspberry. Just Comment at check out.